"I stood on a mound of Mohenjo-daro in the Indus valley in the northwest of India," wrote Jawaharlal Nehru in The Discovery of India (1946), "and all around me lay the houses and streets of this ancient city that is said to have existed over five thousand years ago . . . Astonishing thought: that any culture or civilisation should have this continuity for five or so thousand years or more and not in a static, unchanging sense, for India was changing and progressing all the time. She was coming into intimate contact with Persians, the Egyptians, the Greeks, the Chinese, the Arabs, the Central Asians, and the peoples of the Mediterranean. But though she influenced them and was influenced by them, her cultural basis was strong enough to endure. What was the secret of this strength? Where did it come from? . . . It was, surprisingly enough, a predominantly secular civilisation, and the religious element, although present, did not dominate the scene . . . [At] this dawn of India's story, she does not appear as a puling infant, but already grown up in so many ways. She is not oblivious to life's ways, lost in dreams of a vague and unfeasible supernatural world, but has made considerable technical progress in the arts and amenities of life, creating not only things of beauty, but also the utilitarian and more typical emblems of modern civilisation – good baths and drainage systems." (Jawaharlal Nehru, The Discovery of India (London, 1946), pp. 30, 47, 49, quoted in Andrew Robinson, The Indus, p. 184). It is curious or intentional that Nehru saw in Mohenjo-daro a secular civilization; certainly the the "outside of religion," of certainly non-Islamic nature of the Indus civilization has long been recognized by the Pakistani state. 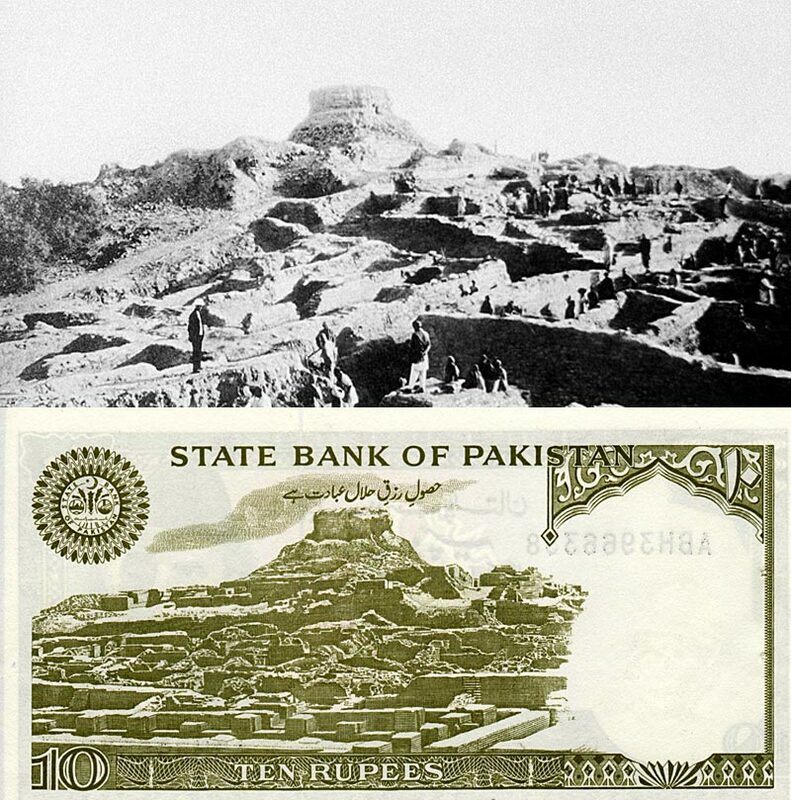 Its presence in the national fabric is undeniable; for long, the Buddhist stupa mound appeared on the ubiquitous 10 rupee banknote, tipped with the slogan "To legitimately make a living is righteous worship." How do you think the Indus civilization fares in contemporary political discourse? What does it signify?